Summer is a great time of year to enjoy mild weather and blooming flowers, and it’s also a great time to add a supplemental heat source to your home. 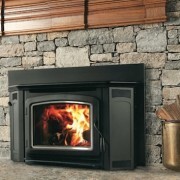 As winter approaches, most reliable hearth stores are booked through the fall season. Get a jump on the smart trend of cutting winter costs by adding a new stove, fireplace insert, gas logs, or gas fireplace to your home this summer. A masonry chimney is not required to safely operate a wood stove in your home. 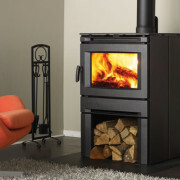 You can install a wood stove in almost any room. You can opt to turn off central heating and burn logs in the wood stove of whichever room you’re in, which is called “zone heating.” One of the best cost-cutting measures in winter is zone heating. The warmth provided by wood stoves is a pleasant radiant heat. Warmth radiates in all directions. A wood stove actually warms air more quickly than air being blown through a venting system. For the environmentally conscious, burning wood is a great option. Wood is carbon-neutral, unlike fossil fuels, primarily used to produce electricity. Another cost-saving aspect of a wood stove is the fact that wood is the least expensive fuel source. Due to forestry regulations, which requires all trees cut down to be replaced with new plants, burning wood is guilt-free, even for those who are passionate about going green. Anytime there is a blackout, a wood stove is the best appliance to have. Not only can you stay warm and have light, but you can also cook or at least heat water and food when the electricity is out. If you’re like most people, no one has to tell you that burning wood in a fireplace can be the best part of winter. An awareness of how inefficient traditional masonry fireplaces are can take some of the joy out of the experience. A fireplace insert, however, is an excellent supplemental heat investment because it changes an inefficient fireplace into a viable heat source. It’s important for professionals to measure for and install a fireplace insert, to ensure maximum efficiency and safety. All that’s left after that is to turn down the central heating system, light a fire, and enjoy the heat and the lower utility bills. Burning firewood is not a requirement for countless homeowners who have discovered the joys of an efficient gas fireplace. 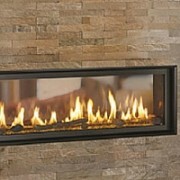 You can choose to have realistic faux gas logs or more modern glass materials or stone burners. 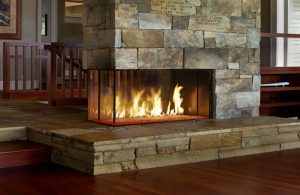 The real beauty of a gas fireplace may be the mantle, the flames, or simply the convenience of having an instant fire. Proper installation of your new gas appliance is essential. 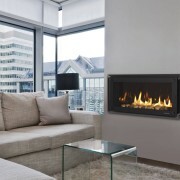 You’ll be able to easily take the chill out of the air or ramp up the heat in winter with a modern gas fireplace. 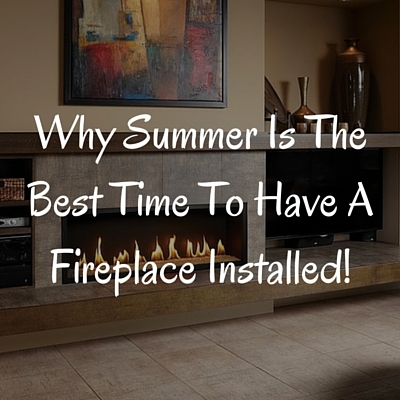 While you enjoy this summer, keep in mind that it’s also the best time to add a new gas stove, fireplace insert, gas fireplace, or gas logs.